1. 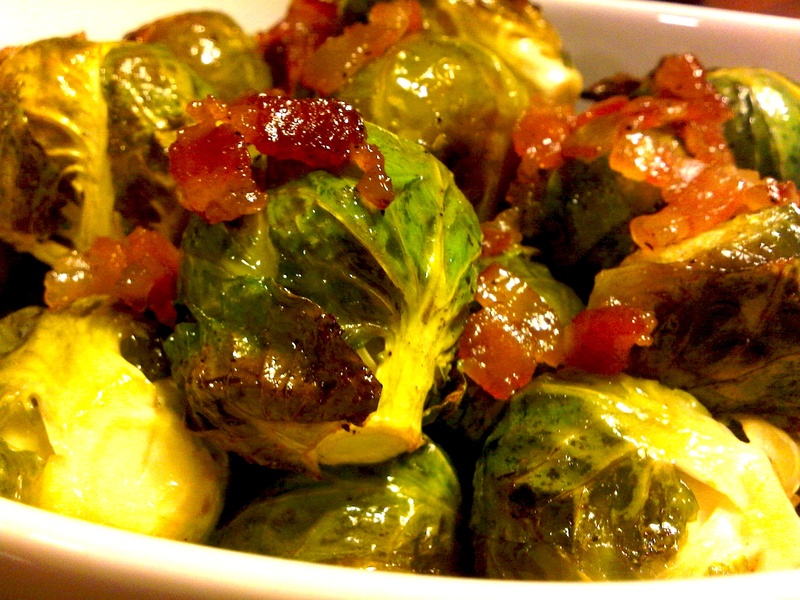 While you are slicing your brussels, cook the bacon until crispy in a large skillet. 3. Add a little olive oil to the pan (depending on how much bacon drippings were left over), and add your shredded brussels, garlic, and crushed red pepper. 4. Cook for just a few minutes on low-medium heat, until brussels start to get tender (be careful not to over-heat the olive oil!). 5. Mix in lime juice and crumble bacon into the sprouts. s&p to taste. 6. Scoot your sprouts over to the side of the pan, and add avocado slices–just to quickly warm each side. You don’t really want to stir them around into the sprouts or they will mash right in. 7. When they are heated through, mix everything together and enjoy!